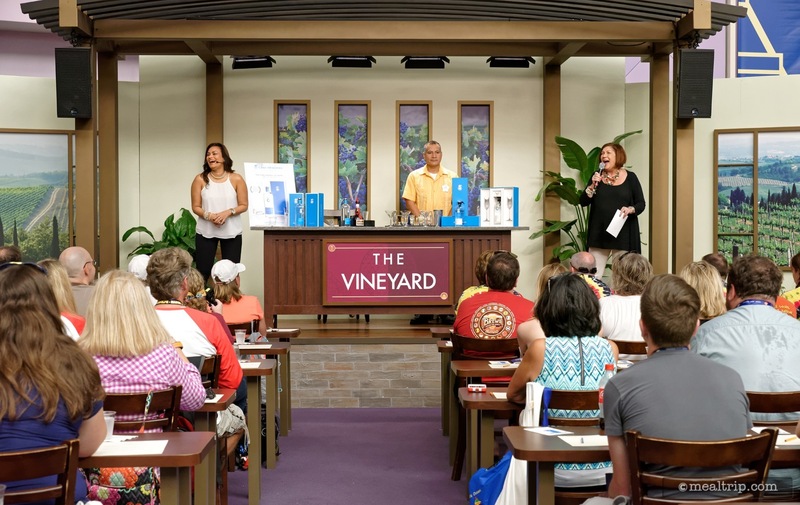 The 45 minute Beverage and Mixology Seminars take place in Epcot's "Festival Center" during the annual International Food and Wine Festival. Historically, these are two different events... but the old rule of Beverage Seminars being "wine only" are not really observed any more. 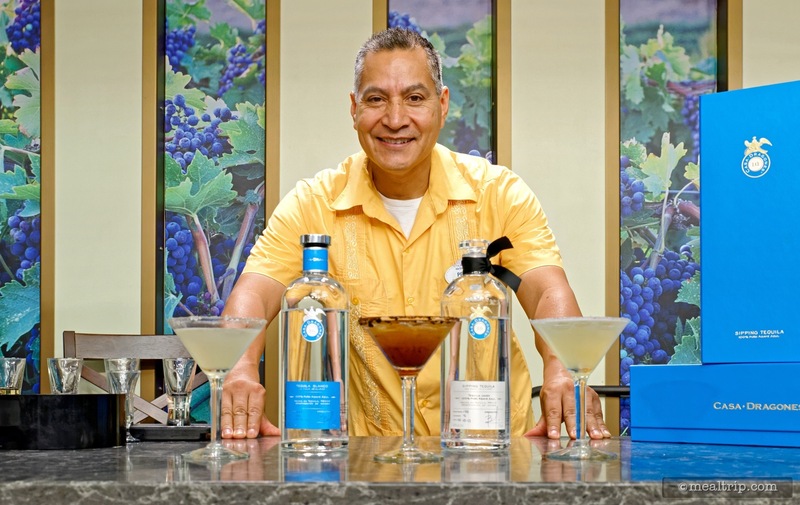 About the best way to describe the differences between the two are that "Beverage Seminars" cover pure bottled product, which is usually wine, but could also be just about any spirit, beer, or tequila. 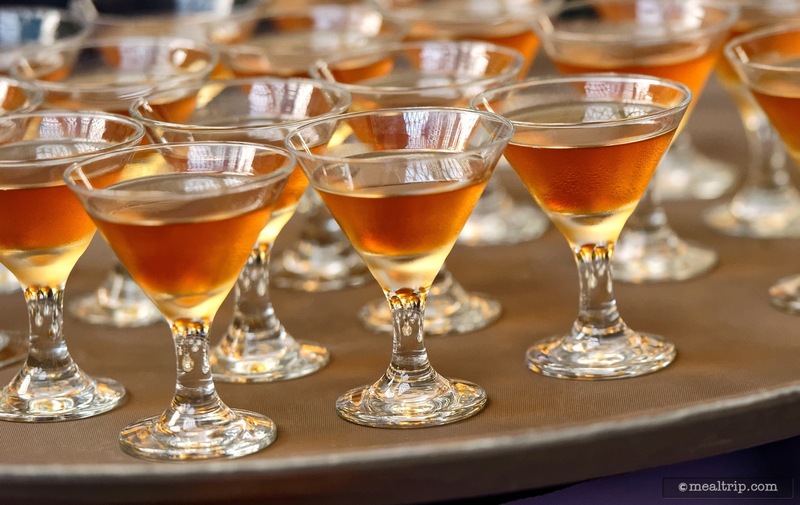 "Mixology Seminars" usually cover blended beverages and cocktails that are made from various components. In both cases, the format is basically the same. 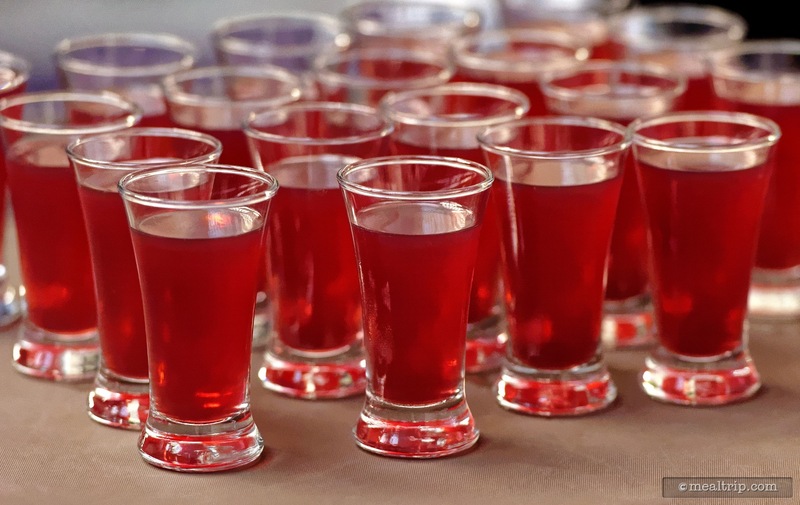 A representative (usually from the company or distributor behind the featured product) gives a presentation about the beverage, while two or three samples of the beverage are made available to each guest. 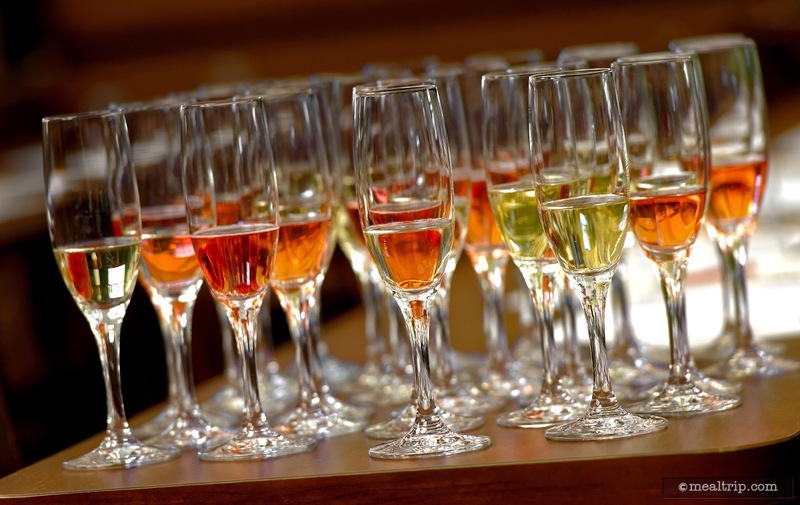 In the case of beverage and/or wine demos, the 3-4oz pours are already on the table as you enter the event space. 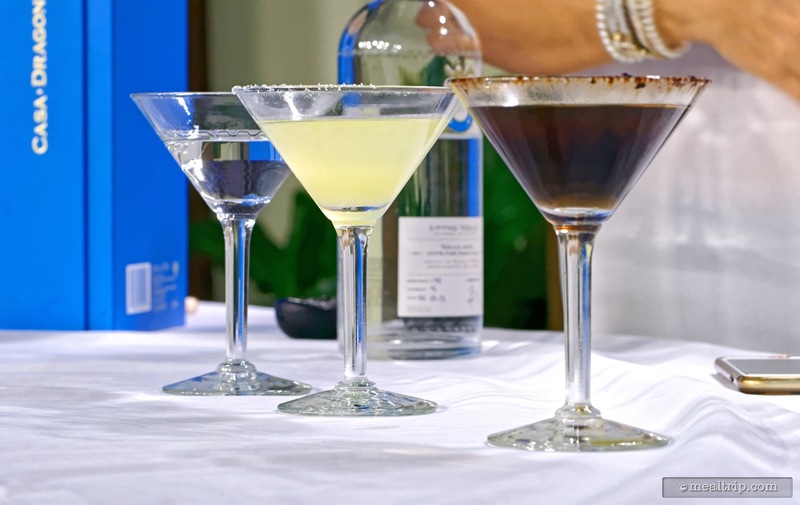 For mixology demos, the samples are brought out as they are being discussed in the presentation (to keep the drinks as fresh and "just mixed" as possible). In both cases, water and a few club-style crackers are also available on the table. Often times, a pencil and small note card containing information about the beverages that you will be sampling are at each place setting. In the case of Mixology Seminars, the "recipe" for the mixed cocktails is also printed on the card. 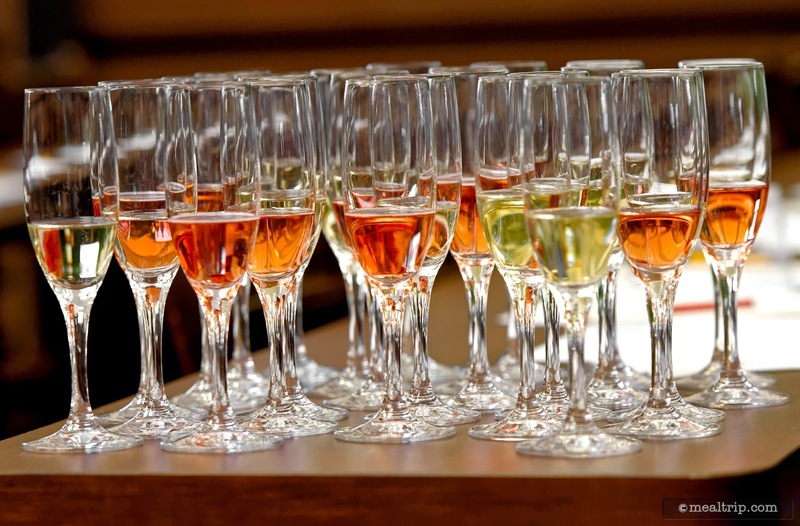 For those that have been to wine samplings before, this really isn't a "vertical tasting" as many of the wines are of different varietals, but are on the same level. 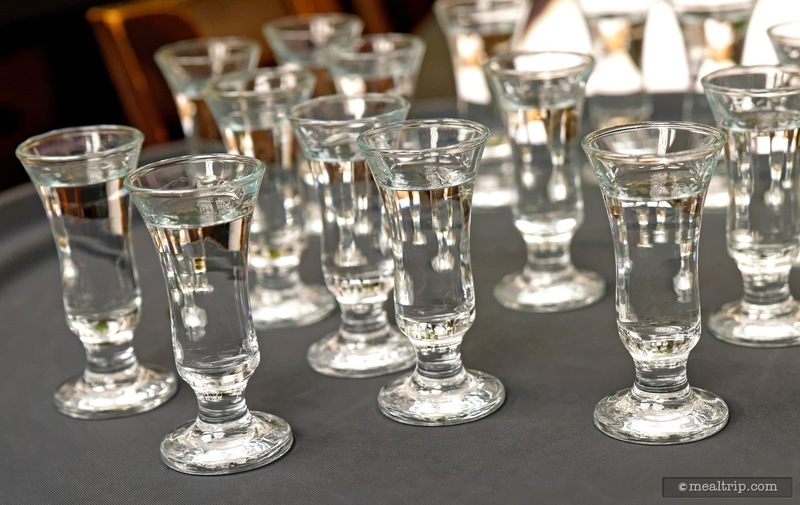 Popular beverage seminars can be booked to capacity many weeks before the festival begins, so if you really want to attend a specific seminar, it's best to make reservations as quickly as possible. 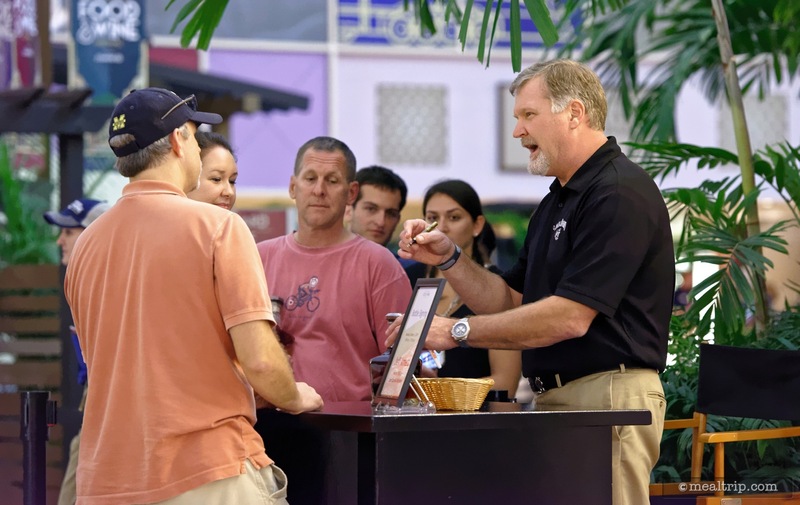 With that being said… Beverage and Mixology Seminars are easier to score last minute tickets to than the nearby Culinary Demos. Check with the Guest Services Kiosk at the entrance of the Festival Center (it's a little booth after you enter the building and walk down the winding ramp) for any last minute availabilities. Beverage and Mixology Demos are fun in their own special way. 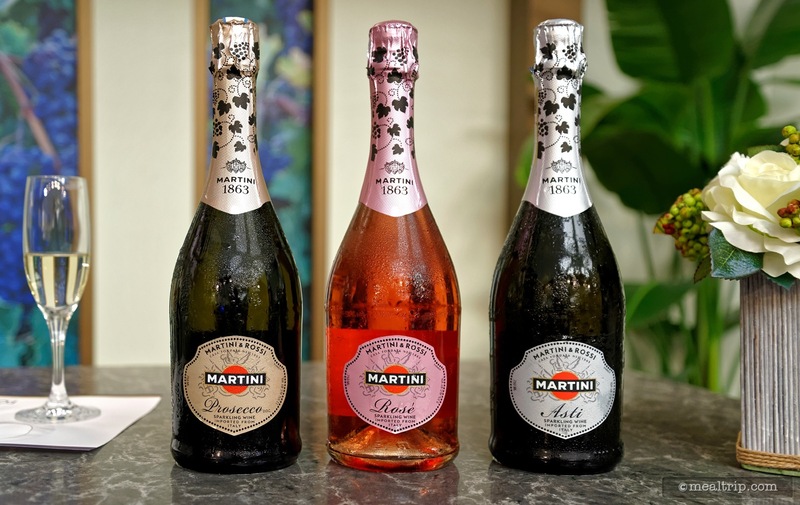 My best piece of advise for this event series, is to make sure you select a beverage that you like or want to know more about. 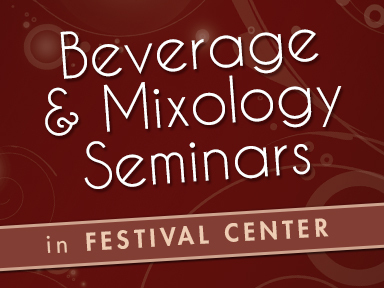 Because these seminars are "beverage tasting only" type of events (i.e. 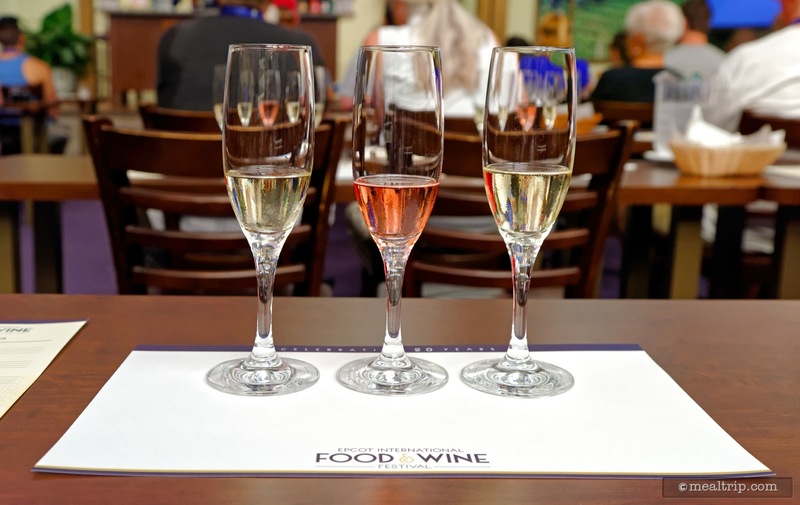 there won't be any food pairings at Mixology or Beverage Seminars), there tends to be more in-depth information about the wine, beer, spirit, or cocktail that is being represented. If you are curious and want to know more about the product's history and/or manufacturing, this will be interesting. 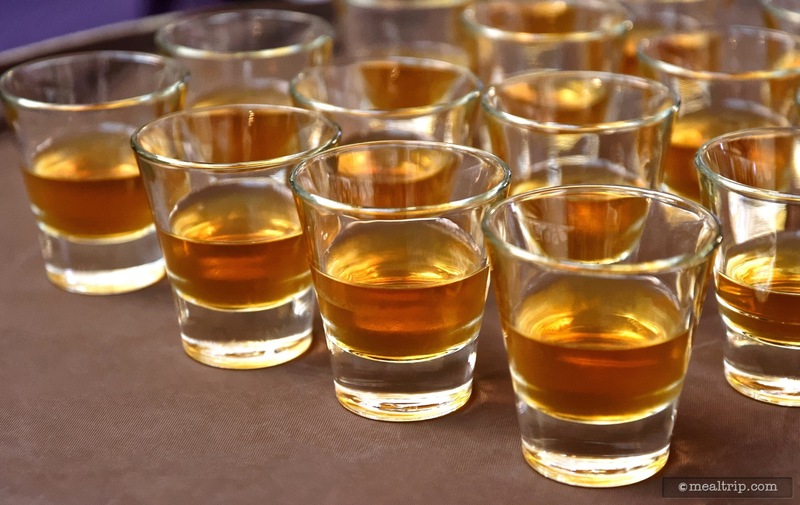 If you're really not interested in the beverage, and just wanted a couple samples… the seminar will seem a bit long. 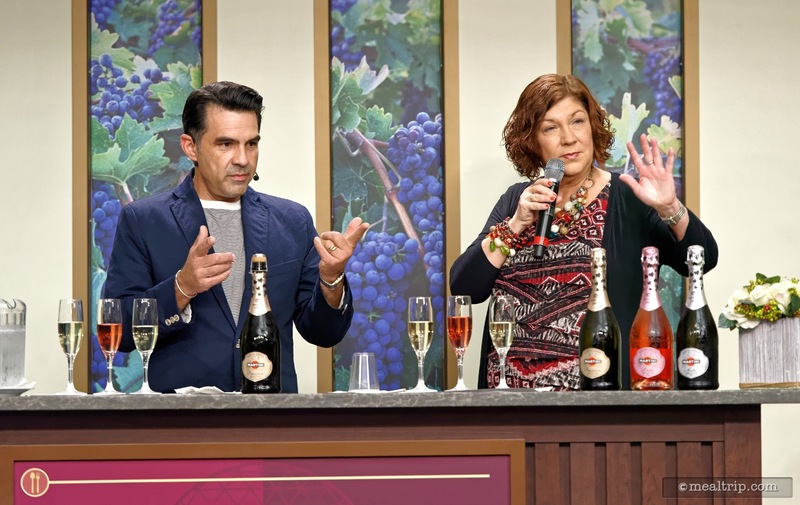 Beverage Seminars are usually wine-based (but that's not always the case), and tend to be a little more informative (i.e., there's a lot of talking). Mixology Seminars can be a bit more entertaining (rather than informative), depending on the presenter. There really is no way to know... until you go! If you see someone that you really liked (or really didn't like), let us know by leaving a review… and don't forget to mention which beverage or wine (or presenter's name) that you saw. That kind of info will help all of us find the seminars and demos that we will enjoy the most! CLICK HERE to view all 30 images in our photo gallery.